As electric cars become more pervasive (hello, Tesla Model 3), the potential stress on the country’s electric grid increases. Many local utilities now offer Time of Use (TOU) plans to encourage consumers to shift their electricity usage from times of peak demand to times of low demand. TOU plans typically offer discounted rates on electricity used off-peak (normally at night or weekends) and surcharges on electricity used during peak hours (typically during the day on weekdays). But there are other ways to encourage a shift to off-peak power usage. One of these ways is the SmartCharge NY program. SmartCharge NY is a partnership between FleetCarma and ConEd, the electricity utility in New York City and Westchester County. The SmartCharge Rewards program is simple: if you charge your electric car between 12:00 midnight and 8:00 AM, you earn a credit of 10 cents per kWh. You also get a $5/month credit, just for participating in the program. During the summer, from June to September, if you can go without charging your EV during high peak hours — currently 2:00 PM to 6:00 PM on weekdays — you earn a $20/month bonus. It doesn’t matter if you charge at home, at work, at a public charging station or at a Tesla Supercharger. As long as you are charging your car within ConEd’s territory, the benefits apply. The SmartCharge C2 adapter plugs into your car’s OBD-II port and reports driving and charging data back to the mothership. As I wrote last year, SmartCharge began supporting the Tesla Model 3 in its program last November, so I’ve been using it for a few months now. The program couldn’t be much simpler. You’re not required to install a separate meter for EV charging, or even sign up for a TOU plan with ConEd. You only need to install the SmartCharge C2 dongle in your car’s service port. 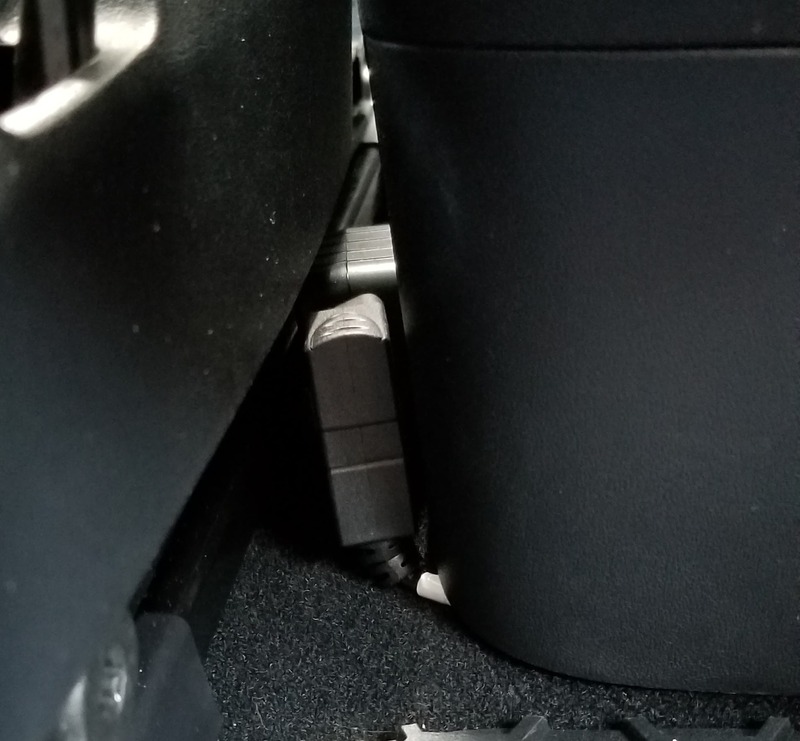 On the Model 3, the service port is located inside the base of the center console, below the rear USB ports. You can access the service port by carefully prying off the console cover using an Allen wrench or similar tool placed under the lower right side of the rear console cap (right at the floor) and prying the cap forward. 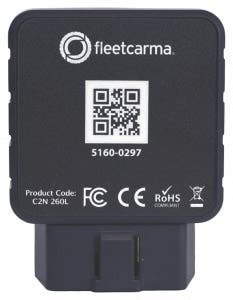 Once connected, the C2 device monitors your car’s charging and usage data, and reports that back to the SmartCharge network via a built-in cellular data connection. With the dongle installed, SmartCharge can see how much electricity you are using to charge your EV and at what time of day. At the end of each month, the company calculates how many kWh you used while charging during off-peak hours and issues you a credit at 10 cents per kWh. The credit can be redeemed for any of a number of different gift cards. I chose Amazon as we order quite a bit from there, including most of my Model 3 accessories. The SmartCharge program is currently offering a $150 sign-up bonus, a $25 bonus if you activate your device within 2 weeks of sign-up, and a $25 referral credit if you sign up using an existing customer’s referral link. Once you’re in the program, you can also earn $25 credit for each referred customer. Don’t quit the day job, though, as the total reward cap is $500 per year, per vehicle enrolled in the program. The SmartCharge C2 module (visible between driver’s seat and center console), plugs into your car’s OBD-II service port (or proprietary port, in Tesla’s case). In addition to the financial incentives of the reward program, you also get access to an online dashboard. The dashboard shows how much electricity you have used, both on-peak and off-peak. It also calculates your overall fuel efficiency as an MPGe rating. So, do you like showing off your Tesla’s 0–60 acceleration at those red lights? I know I do. You’ll see that lead foot reflected in your efficiency stats. Oops. The SmartCharge dashboard shows how much electricity you’ve used to charge your EV, both on and off peak. I’ve been enrolled in the SmartCharge program for a few months now and have no complaints. With all the bonuses and credits in the first month, I racked up over $260 in rewards. Redeeming that for an Amazon gift card took just a few clicks and I was good to go. Having the C2 device attached to the service port doesn’t seem to have introduced any negative behavior. The small C2 device is neatly tucked away under the driver’s seat so it doesn’t impact the car’s interior appearance. With the Tesla’s ability to set a timer to begin charging the car at a specific time (in this case, midnight), I’ve been able to keep most of my charging limited to off-peak hours. The only exceptions have been when I took my car in for service and for bodywork. These folks charged the car during peak hours, so I was not eligible for the credit for those charges. With the various sign-up bonuses and incentives, I earned over $260 in rewards in my first month. A typical month is closer to $50 in rewards. 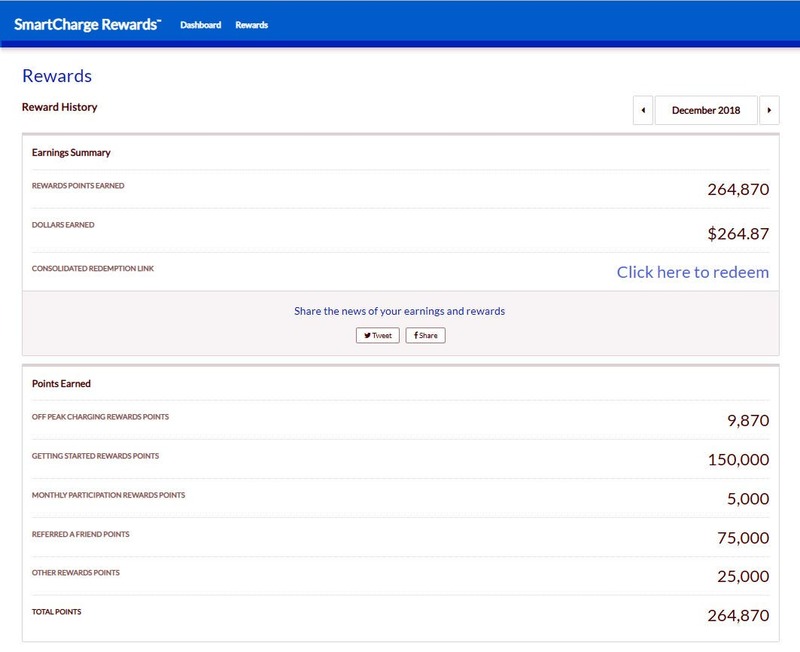 If you’re a ConEd customer, you’re living and charging your car in New York City or Westchester, and you like saving money on EV charging, I recommend checking out the SmartCharge Rewards program. It will help reduce the grid impact of your EV ownership and it will also lower your monthly fuel costs.